All Colorlight leggings are printed with my original art and designs. 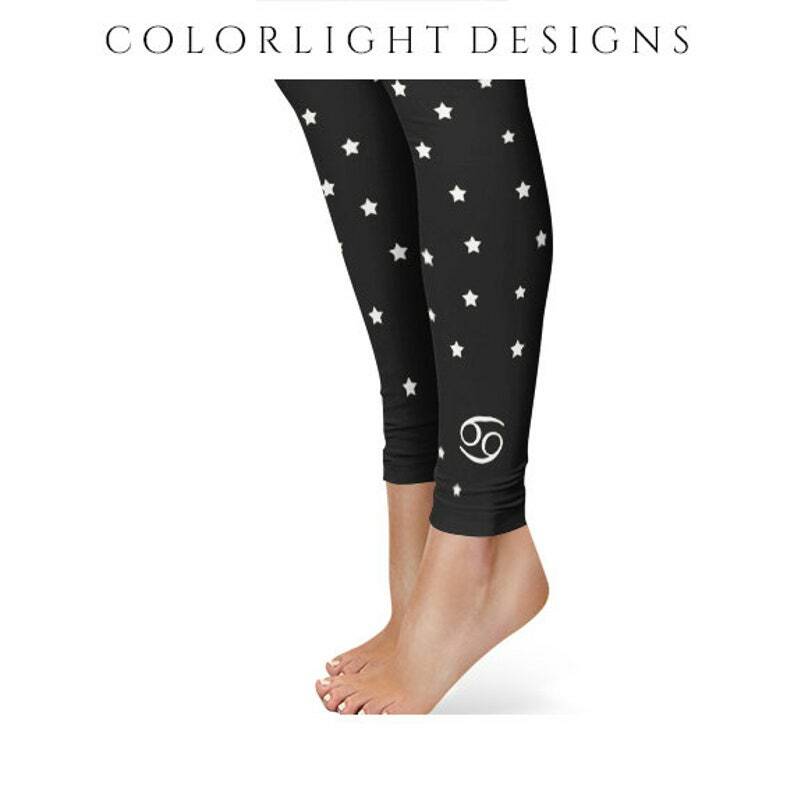 These leggings feature a delicate array of beautiful white stars and the symbol of Cancer accenting both ankles. The perfect gift for any Cancer lady!